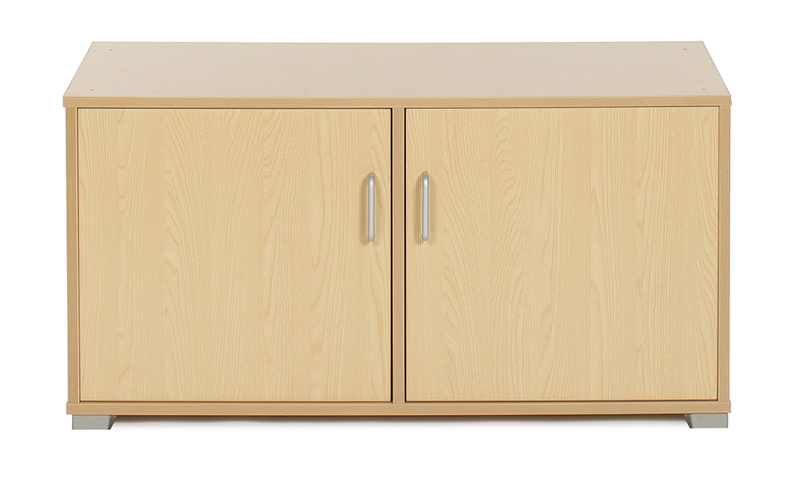 The Bubblegum medium school storage cupboard is a low level cupboard which can be used on its own but is also designed to be used with the Bubblegum 6 Cube Horizontal Room Divider or Bubblegum 9 Cube Room Divider. Constructed with durable 18mm MFC in a modern Japanese Ash finish with ply effect edging, complete with strong plastic feet. 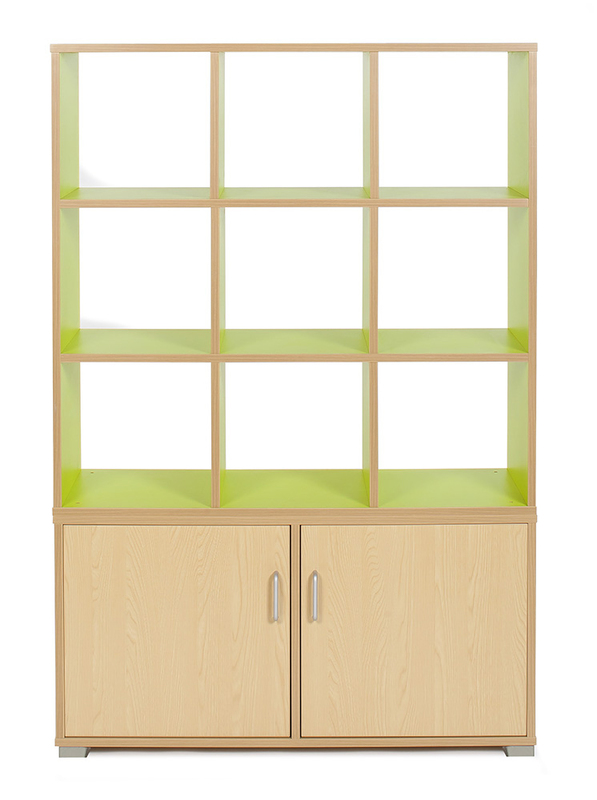 Featuring a vertical divider that creates 2 compartments with 1 adjustable shelf in each side for flexible storage. 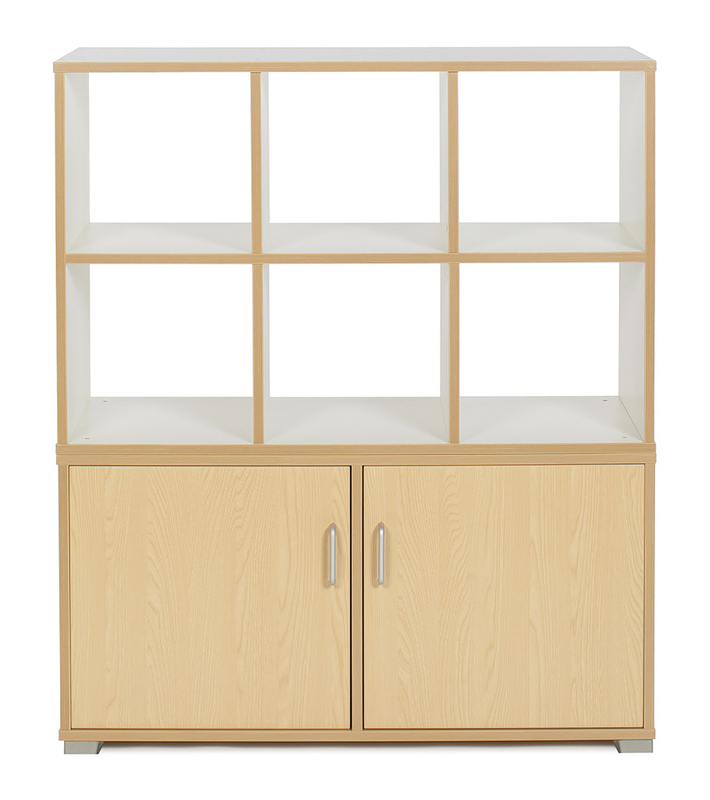 If used with the stackable shelving units you can create an innovative and space saving room divider which features a storage cupboard and shelving. Connecting pins are supplied for stacking the shelving if required.